Many news articles have been written about why real estate agents still exist when every other form of middleman (i.e. insurance brokers, travel agents) seem to have been made obsolete by the internet. However, none of these articles seem to shed any light or insight to the problem of how to sell your home yourself in NYC. Moreover, most of these articles are shameless acts of promotion for traditional flat-fee MLS discount listing brokers which has been proven not to work. We believe we’ve figured out the solution, and we’d love an opportunity to tell you our story. In a nutshell, it’s because buyers’ agents still control most of the home buyer traffic. Even though well over 90% of today’s home buyers may start their search online, they eventually end up purchasing their home through a buyers’ agent over 80% of the time. In order to access buyers represented by agents, home sellers need a listing (or seller) agent with access to their local interbroker database to offer a commission to buyers’ agents on the database. Home sellers can’t be stingy on the commission offered either to stay competitive with most listings offering 2-3% to a buyers’ agent. Both seller & buyer broker fees (typically 5-6%) are charged by the listing broker and paid by the seller. And because most brokerage databases require the commission split to be equal between buyer and seller agent, you get total commissions still stuck to this day at a hefty 6% of the home sale price. Because of this inability to effectively engage buyers represented by agents when you sell your home yourself in NYC, most FSBO home sellers eventually end up caving and hiring a traditional real estate broker. Fortunately, we are solving the problem on the sell side and buy side at Hauseit®. We have helped homeowners like you sell your home yourself in NYC and save millions of dollars in commission this year alone. 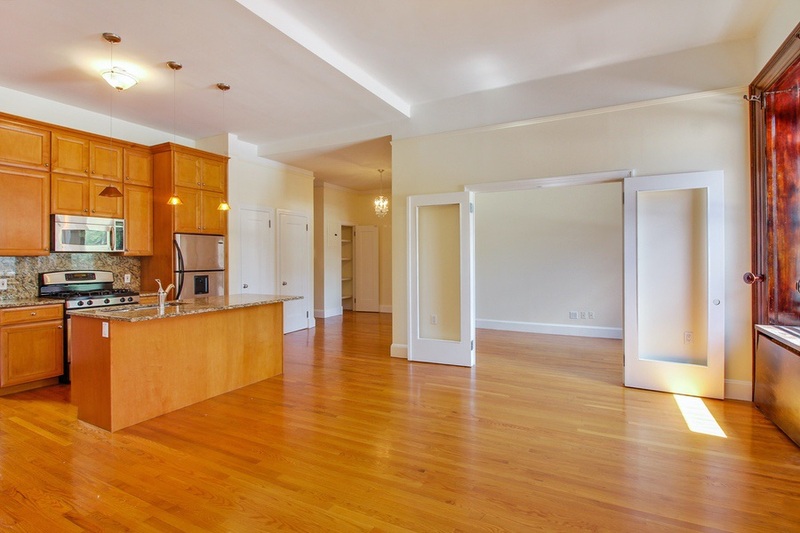 Here are a few top tips on how to sell your home yourself in NYC. Having made the decision to sell your home yourself in NYC, it can be tempting to rush off and buy the first “flat fee MLS” listing package you find on the internet. However, keep in mind many of these sites are not tailored to NYC and attempt to be a catch-all listing service for all 50 states. If you want to properly sell your home yourself in NYC, you’ll need to make sure you’re listed on relevant, popular local real estate search websites such as StreetEasy. If you take a closer look at the listing packages of some “big,” national for sale by owner websites, you’ll notice that they only list you on a number of free, national search websites such as Zillow and Trulia. While those are certainly great and important to be on, you know that you’ll be missing out on many home buyers who exclusively use StreetEasy in their NYC home search. 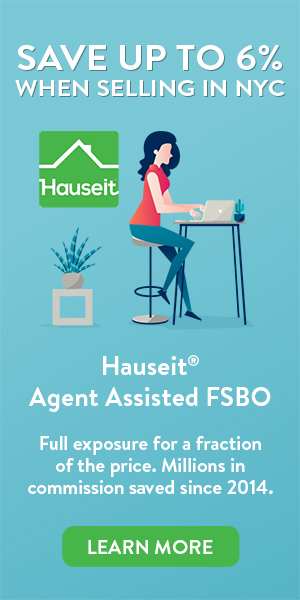 Now before you rush off and purchase a FSBO StreetEasy listing package separately ($399 for 28 days as of this writing), realize that you could save a lot of money by listing with Hauseit for the same price. In addition to offering StreetEasy, Hauseit’s zero-commission, flat-fee NYC listing service will also list your NYC property on many additional real estate websites and most importantly, submit your listing to the NYC broker databases which include REBNY’s RLS Database and all RLS vendors like OLR (On-Line Residential – NYC Broker Database), Nestio (NYC Broker Database) and RealtyMX (NYC Broker Database) as well as brokerage specific databases which are all required to receive RLS data such as Taxi and Limo. Best of all, your listing will be syndicated to all of these broker databases and public search websites all at once! You’ve probably heard a few times by now why it’s important to engage buyers represented by agents when you try to sell your home yourself in NYC. Again, before you rush off and buy the first “flat fee MLS” listing package you find, make sure you investigate what “MLS” they are offering to list you in to begin with! You’ll find that most of the big, national for sale by owner websites will just claim to list you in your local “MLS (multiple listing service – another term for a brokerage database affiliated with the National Association of Realtors)” whether you’re trying to sell your home yourself in NYC or Long Island. This is a harmful marketing tactic that preys on the inexperience and lack of knowledge among NYC home owners. There is no point being on a brokerage database no brokers in your locale actually use. In the case of New York City, there is not one, dominant MLS that all brokers use. In fact, the main inter-broker databases in NYC are not even affiliated with the National Association of Realtors (NAR). NYC actually has a few critically important broker databases including REBNY’s RLS and databases which feed from RLS such as OLR (On-Line Residential), Nestio and RealtyMX. By being listed across all of these databases, your listing has the highest chance of being picked up by NYC agents who are members of both broker trade associations which operate in the city: REBNY (Real Estate Board of New York) as well as MANAR (Manhattan Association of Realtors). Not only do the various broker associations in NYC use these databases to find properties for buyers, but they also feed their individual listings to them as well. Furthermore, by being listed in these databases it’s also highly likely that your listing will automatically feed directly onto the private brokerage websites of hundreds of member firms in the city. This results in truly comprehensive exposure for your listing, giving you the highest chance of success in finding a buyer. You won’t have to worry about buyer agent members of any specific trade group boycotting your listing. Not only would that be illegal and unethical behavior towards their buyer clients, but it would also be extremely impractical in an age of highly scarce inventory. As you can guess, a Hauseit affiliated broker will make sure to co-broke on your behalf in only your relevant local inter-broker database (REBNY’s RLS in NYC, TREND MLS in Philadelphia, etc). When you sell your home yourself in NYC, you’re bound to get a multitude of brokers asking your permission to list your home for free on a few websites like StreetEasy or Zillow. This is called an open listing, where a broker doesn’t have an exclusive listing agreement with you, but has your permission to advertise it on the web and charge you a commission if they find a buyer. Though it may be tempting to agree because they’re offering exposure for free without any sort of contract, you must avoid this at all costs if you are trying to sell your home yourself in NYC. What they are doing in fact is pirating your buyer leads from your home’s listing on popular websites which you could easily have gotten yourself. It may very well be free to let them post your home on StreetEasy, but it’s going to cost you 3% once they find a buyer there. With Hauseit, you can rest assured that all inquiry will automatically be sent your way. We’ve worked with hundreds of customers just like you and their many reviews online are a testament to their trust in us. All that our affiliate listing broker is eligible for is the one time flat fee you’ve paid to list through us. Cancel anytime by writing us an email and your listing will be taken down the same day. Still not convinced? Are you thinking about giving traditional FSBO a shot first by listing for free on Zillow? Be forewarned that you will be bombarded by inquiries not from buyers, but from junior agents who target traditional FSBO listings as a source of cold call leads for potential listing clients. Don’t mistake the “activity” you’ll be getting from your listing from trollish agents as a sign that your listing is “hot.” Is it anything but that. Moreover, if you’re smart you will use a disposable email address and phone number for your traditional FSBO listing. There will be tons of agent inquiries coming your way purely to solicit and harass you. There will also be many seemingly “unrepresented” buyers contacting you in order to get a response from you and completely disappearing. These are usually fake email accounts purely meant to make you reveal your contact information! How do we know this? Because once you have a real listing up through a traditional REBNY Member Firm you will see that over 99% of inquiries will come from RLS (buyers’ agents) or StreetEasy. You may get one or two inquiries from Zillow and Trulia. Once you’re listed by an affiliate REBNY Member Firm there will be no point for any agent to solicit you. Not only is this because they won’t have anything additional to offer since you’d already be receiving full buyer exposure, but it’d also be against REBNY rules to do so. REBNY fines for solicitation range up to $10,000 in penalties for the third violation. As a result, don’t you think it’s a little odd that you’re getting so many inquiries on your Zillow FSBO listing? Trust me, you’re not just magically receiving attention from so many buyers’ agents who actually want to risk working with you! Should I list FSBO directly with StreetEasy? It’s true that StreetEasy is much more popular among home buyers for NYC property searches than Zillow and you will be bound to luck out and get inquiries from a few direct buyers. However, keep in mind that 90% of all real estate transactions in NYC happen between a listing agent and a buyers’ agent. That means the overwhelming majority of home buyers in NYC are represented by an agent at some point of the transaction. Why is this the case? Well keep in mind that the 30,000 licensed real estate agents in Manhattan alone represent the biggest sales-force in the city. This sales-force offers a highly enticing “free” service to home buyers: a high-touch, personalized and very human service for one of the largest transactions of most people’s lives. Remember that over 96% of listings in the city as of this writing are listed by agents. In almost all of those listings the seller will pay 6% in an Exclusive Right To Sell Listing Agreement regardless of whether the ultimate buyer is represented or not. If there is a buyers’ agent involved, the co-broke commission split is automatically 50% of the total commission amount. It’s extremely safe and easy for a buyers’ agent to show a for sale by agent listing in the RLS because they will automatically and for sure be paid. It is the complete opposite with a FSBO listing where at best the owner will sign a custom, separate commission agreement. How much hassle and work is that when FSBO listings represent less than 4% of the market! As a result, yes you can list FSBO direct on StreetEasy but you will face the same issues of broker solicitation and alienation of the 90% of buyers who are represented. Yes you may luck out and find a direct buyer, but what if you missed multiple higher offers by avoiding buyers’ agents? Are professional photos worth buying for my listing? If you want to sell your home for a reasonable market value then yes. Ironically, many frugal FSBO sellers will skimp on paying $300 for professional photography on a million dollar NYC home and then complain when they don’t get as many inquiries as other professionally marketed listings in their building. Your home’s photographs online will be the first thing the vast majority of home buyers see. You want to make a good impression and have them invest additional time and energy checking out your property. The more invested someone is the more likely they are willing to submit an offer on a listing. The last thing you want to do is turn them off with low resolution, slanted photographs of your home with dim lighting and your personal junk lying everywhere. Do you really want all of these external factors influencing the market value of your otherwise perfect property? Why can’t I price my home high and hope someone overpays? This is a major transaction for almost every home buyer. 90% of deals are done between two agents. That means most buyers will have a professional real estate agent take a look at comparable properties and give a second opinion on valuation. No one is going to stumble upon your property and overpay for your home in a vacuum. If you’re hearing crickets on your listing and not receiving many inquiries it’s because you’ve priced your property too high. Please look at comparable listings on the market in your building and surrounding areas. 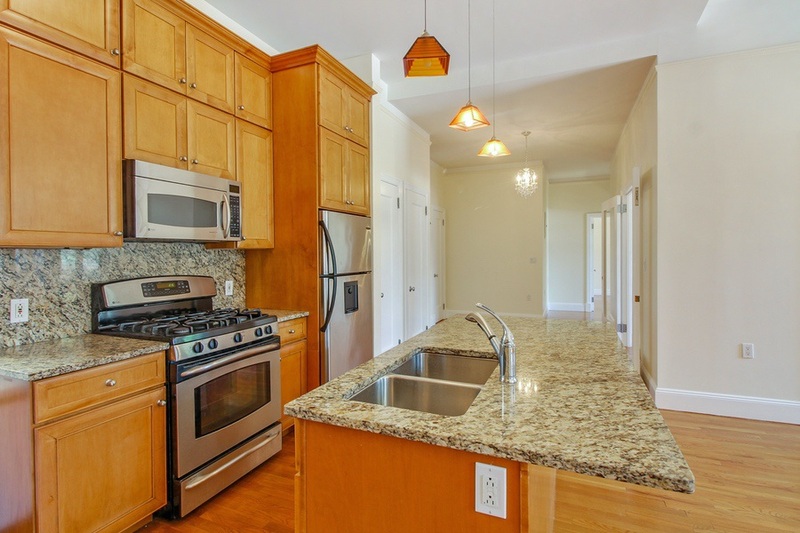 Make sure to also look at recent comparable listings that have sold or gone into contract. Recorded sale prices are delayed by a few weeks after closing but when they come out they are 100% accurate. Prices for listings which have gone into contract are not necessarily accurate. They could have gone into contract at, below or above the listing price. The best way to find out where something has entered contract is to ask the listing agent. Agents typically do this all the time as a form of trading favors.